Hollywood Studios for years had the reputation of only being a half day park with minimal things to do, but with the recent Toy Story expansion and the upcoming Star Wars land addition, traffic has been picking up, but there has always been one faction that has never been lacking: the food. No matter what kind of dining experience you are looking for, Hollywood Studios has something for all ages and palates. Not all Disney dining establishments are created equally. You are going to see that all dining venues fall into two categories: quick service and table service. Quick service is going to be any location where you order your food from a cashier, wait in a line to pick it up, find your own table, and clean your space up at the end. Table service dining is going to be any location where you are seated and then serving by dining staff. Now do keep in mind that any buffet is also considered a table service meal. Also, pay attention because some of the buffets have a special caveat, and that is being a Disney World character dining location. 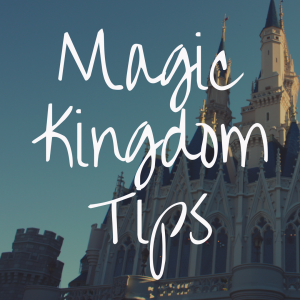 This is going to give you the best opportunity to maximize your time by not only eating your meal but also getting in some once in a lifetime shots of your family with their favorite Disney pals! Dining Reservations are a must if you plan at eating a table service restaurant. Now you will never need reservations for a quick service location, but for a table service location, it gets very busy. So you need to make sure you plan. Talking about planning, you have 180 days before your vacation to begin to make any sort of plans for dining reservations, so make sure as soon as your time slot open, you make those reservations. Depending on how popular a location is, spots will run out fast. You do not want to miss any precious time when it comes to selecting your reservations. When booking your hotel reservation you are going to see the option for the Disney Dining Plan. This is going to be a hit or miss depending on your family and what you food needs are. Make sure you check out one of the many Disney Dining Plan calculators to find out if the dining plan would save money for your family. Not all dining plans are created equal so make sure you are paying attention to where your family wants to eat and which plan would give you those options. Mobile Dining is now a newer option that has been added to many of the quick service locations. You can now pre select and pay for your food before you arrive. Once you get to the location, you can select the pick up option or a time and grab you food without the long lines! This is done directly from the My Disney Experience App. 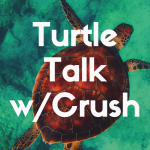 Now the moment you have been waiting for! 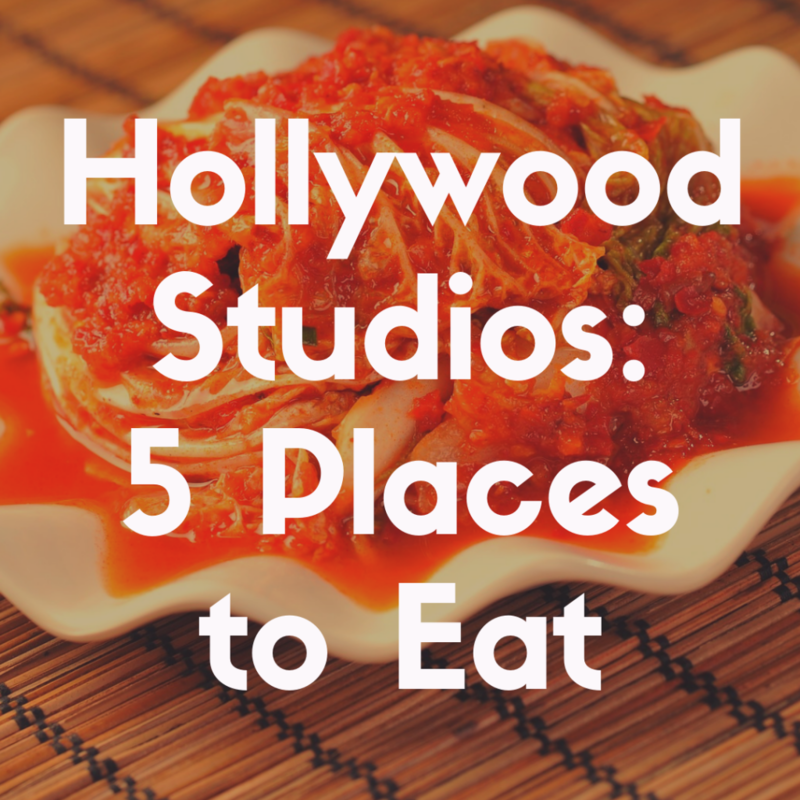 Next up is the five best places to eat at Hollywood Studios. The Hollywood Brown Derby: Not only is this one of the more iconic landmarks inside the Hollywood Studios, but the atmosphere and food is absolutely divine. The Hollywood Brown Derby is an authentic replica of the same eatery in Hollywood itself. You are going to need dining reservations to eat here so make sure you book them as close to the 180 day mark as possible because this a favorite for many guests. Inside the restaurant you are going to see many famous faces adorning the walls which fits the theme perfectly. From the moment you walk in, you are going to be transformed in time to the height of the Golden Age of Hollywood. The food is just as memorable as the atmosphere. Some of their more infamous dishes are the seasonal gropper or pork chop. Maybe you would rather try the the chargrilled beef with beautiful golden Yukon potatoes, but anyone who is familiar with Hollywood history knows that the traditional Cobb salad began with its roots in the original Hollywood Brown Derby, created by the owner, Bob Cobb. Now make sure you leave some room for dessert because the Dessert Trio will satisfy even the sweetest of teeth. Now this is going to run about $35 to 59.99 per adult and is worth two table service credits. There is no dress code here so come in your theme park best and make sure to have those dining reservations for a relaxing, delicious meal during your day in the theme park. 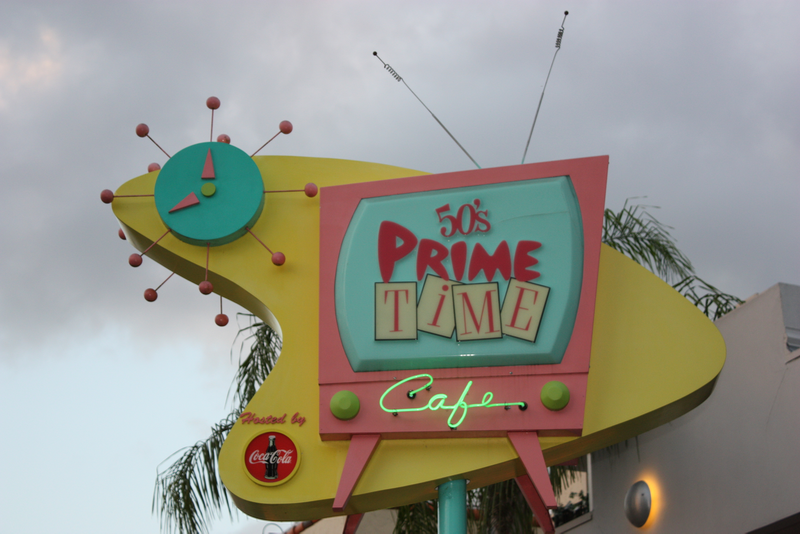 50’s Prime Time Cafe: The name fits the decor of this themed table service restaurant perfectly. From the moment you walk through the front doors you are sent back in time to the 1950’s to eat some of the classics and well, deal with your nagging mother to finish your vegetables all over again. Make sure you bring an empty stomach to fill and well, prepare for some laughter because from the moment you meet your server until you leave, they are going to have you doubled over in laughter. You are going to have to follow all the classic rules like washing your hands and making sure you finish all the food on your plate. And if you do not? Well prepare for a roasting from your server to finish up as fast as possible. You need dining reservations to eat here. It is a popular location due to the atmosphere and you are going to want to make sure you have a seat. Their iconic meals are pot roast and the fried chicken bringing you right back to mom’s table while watching classic tv from the 1950’s. This runs about $15 to 34.99 per adult and is worth one table service credit. There is also no dress code so there is no need about having to run back to the resort and change your outfit. Come as you are for one of the best meals you can have during your entire vacation. And make sure you keep your elbows off the table! Hollywood and Vine: Now dining list would be complete without at least one buffet and this one is no exception. Located right next to 50’s Prime Time Diner, you are going to find Hollywood and Vine. Now it is important when booking your dining reservations (yes you are also going to need dining reservation here) at the time you are selecting. If you are booking the breakfast, well you are going to be in for a treat because it is Disney Junior themed! This means that all of your favorite friends from Disney Junior are going to be making their way around the dining room to make the dreams come true for all the little guests. Maybe there are not little ones in your party or you really are just not that interested in a breakfast buffet, well have no fear because Minnie and some of her famous pals will be making their way around the restaurant. If you are coming during the summer, Halloween or holiday season you are even in for a special treat because Minnie and all her pals will be dressed in theme. Now keep in mind this is an all you can eat buffet so there are set menu items that will appease all family members including carving meats, chicken, bread, veggies and an ice cream station. There is plenty to choose from! This dining experience runs from $35 to 59.99 per adult and is worth one table service dining credit. And remember, there is no dress code so you can meet Minnie and her pals (or Disney Junior friends) no matter what you decide to wear to the park that day! Woody’s Lunch Box: The newest quick service location in Hollywood Studios is far from a let down. In the middle of of the new Toy Story Land expansion lies this welcomed addition. We all know toys have to eat too and from the moment you enter Toy Story Land, well you are an honorary toy. You need no dining reservations to eat here so do not try to book them, they are not available and you would be wasting your time. Instead take a look at the delicious menu including the grilled three cheese sandwich, BBQ brisket melt, and Totchos. The explosion of flavors in your mouth is absolutely divine and well worth the one quick service credit. Yes, one quick service credit. This is why it is important to pay attention to you dining plan that you chose. Some of have more table service credits than quick services and vice versa. You want to make sure you are using your dining service plan to the best value you can. So when you are booking dining reservations and planning your meals, make sure you are paying attention to what you have available and what you have to use. Now you do not need to follow a dress code and the atmosphere and very lax. Come as you are. This is an incredibly affordable meal coming in at $14.99 and under per adult. ABC Commissary: To round out this list we end with another fantastic quick service restaurant. Now this is a little different than other quick service locations we have mentioned. Here you still order your food from the cashier and then once you make your order, you are given a pager and the food is brought directly to your table. This may seem silly, but the luxury of not having to carry your own food definitely sets it apart from many other quick service dining locations. The food is delicious as well. Make sure you try some of their staples including the Angus bacon cheeseburger and the chicken club sandwich. It can get loud and busy in here but the food is delicious and across all of the walls are some of ABC’s most prized televisions shows. It really makes you feel like you are sitting in the commissary of a famous TV station! There are TVs around the room that are playing trailers from movies so there is always something to watch while you are filling your belly. This is worth one quick service credit or is $14.99 per adult. An inexpensive meal and a quick stop if you are trying to have lunch or dinner while on the go. Once again, this is a quick service location so there is no need to make dining reservations since they are not available. Quick services meals are very easy to fit into a schedule during attraction waits and fast passes. There is also no dress code. So whenever you decide you are hungry, just make your way over to fill your belly and you are good to go! Sci-Fi Dine In Theater: This is probably the most amazing atmospheric dining experience you can have in ALL of Disney World, let alone the Hollywood Studios. It breaks down like this—enter a world where the drive-in movie theater is alive and well, as replica cars from the 1950s serve as your table, and you’re sitting under the stars watching classic trailers and animated short films while chomping down on burgers and shakes. 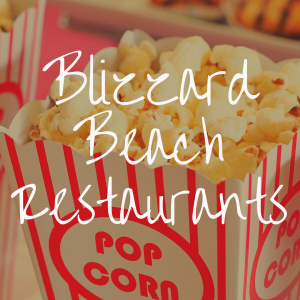 If you grew up on the drive in movie theater, this is a restaurant you’ll love. And if you never experienced the drive in movie theater as a kid, this restaurant will make you wish you had. So there you have it! Here are the five best places to eat while you are spending your day at Hollywood Studios. If you do begin to make your dining reservations and find out that all of these table service locations have no more reservations available, do not fear! There are plenty of other table service locations that are not listed and still could work for your family. So always make sure you do your research while you are planning your disney vacation. And remember, if you are working with a dining plan, always know what you have. This can really save a headache or surprise later on! 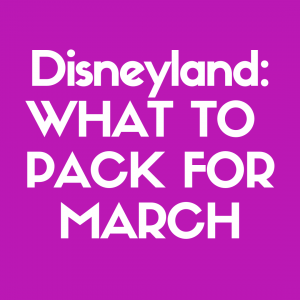 This will also help with planning out your fastpasses as well. 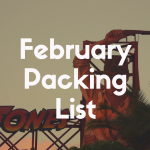 It is easy to forget how much you have going on when you are trying to plan everything and the last thing you want to do to your party is double book them on an already packed down. Other than that, get all your ducks in a row and relax because now you can enjoy some of the best Disney dining.